Here is a selection of some reviews by our customers at the Majors Retreat in Tormarton village. If you would like to write a review on the Majors Retreat pub, our food, drinks and service, it would be much appreciated by us and very useful for new customers. Came in here with my wife for the first time. Welcomed warmly. Great choice of real ales and wines. Good choice for lunch. Food was excellent. Landlord very friendly. Good kids menu. I have visited frequently and always found it to be a warm and welcoming environment. With four real ales on tap, continental lagers and a choice of wines, there is something for everyone. There is an extensive menu to choose from, plus daily specials and I have never been disappointed by the meals I have chosen, or the portion size. Steaks are cooked to perfection, pies are home-made and hearty - the best of British fare. There is a real log fire and an eccentric landlord, what more could you want from a traditional English pub? I will certainly go back again and I would recommend it to others, as it is also less than 1 mile from the M4 (J18) and part of the Cotswold Way. This member's reviews have been voted helpful by TripAdvisor travelers. Been looking for a local pub for ages to go with friends for a nice meal. Well the Majors Retreat did not dissapoint. It had that classic "Olde English" country pub feel. The publican was warm and welocming and the food was delicious. I ordered a rump steak and it has to have been one of the best I have had. Reading a review on this site where someone had described the place as awful made me a bit dubious about going there but I need not have worried. I think maybe that person was at a totally different pub - or maybe a different planet!!! We spent two nights at a local B & B and went to the Major's Retreat each night for our meals. We are two senior couples who walked the Cotswold Way. While we enjoyed the walk and the lovely British countryside another high was eating in pubs such at the Major's Retread. This is Britain at its best: friendly and welcoming. There was a variety of menu choices and evening specials at good prices. What a Jewel in The Crown! Fabulous mixed age family party for 36, meals varied and all delicious, really nice and friendly venue in seperate dining area, very clean with white tablecloths and flowers, Roy Godden and staff so efficient, accommodating and nothing too much trouble, Roy even took our group photos outside! Do pay them a visit, wish we lived nearer but will be back! Don't expect fancy atmospherics at the Majors Retreat. This is an informal, friendly relaxed pub that serves great food in a relaxed atmosphere. It is the only place I have ever been to say that they would serve me custard with whatever pudding I chose and then to deliver double helpings. Large helpings of well cooked standard pub grub are the order of the day at the Majors Retreat. I loved the place when I first stepped in asking for the way to my accom. I came back later for dinner and had a delicious meal and a nice chat with the owner and some people at the bar, everyone being very friendly. The beer, a local one recommended by the landlord, was excellent as well. I felt very comfortable there and can just recommend to have a meal or a drink there when you get close to Tormarton in any way. My wife and I recently walked the Cotswold Way. Tormarton was our last overnight stop before we got to Bath. The Major's is the only pub, though there is a hotel nearby. However, being keen 'pubbies', we were always going to go here. And we were so pleased we did. It was a Sunday and quite quiet, beyond other walkers we'd met over the week. The landlord mentioned in passing that few locals use the place which is a great shame. It had a lovely, comfortable bar area, a large 'games' area for locals and a table-clothed restaurant. There was a good choice of, mainly local, ale and the menu, though very pubby, was varied. Everything appeared home-made and those who had the venison pie were waxing lyrical. For £9, it was terrific value. I left feeling slightly flat because, though I may be way off mark, I would worry that, if we returned to the area in two years' time, the place would no longer be open. The Landlord has been there 20 years and it is the kind of place that should remain as it is for years to come. Please visit if in the area. Tormarton is a pleasant village on the edge of the Cotswolds and we stopped there on our way back from Badminton, it is the sort of place where you expect to find a typical English pub and it deserves better than the Major's Retreat. The car park should have given us an indication of what to expect; it is full of rubbish, boxes and crates and even plastic carrier bags pinned on to a washing line. Inside it is grubby and dingy with cobwebs and dead insects on the window ledges. We ordered a couple of drinks and it is one of those places that paints white lines about a centimetre down from the rim of the wine glass to ensure the smallest possible measure is served. We could only imagine the state of the kitchens so decided not to stop and sample their lunch menu. Looks can be deceiving. The welcome is warm, the host friendly, the choice of beer excellent with well kept ales and an excellent menu. The chef deserves high prasie for the food, if perhaps a little too much at times ! Excellent salads, recommend the fajitas and the lasagne. Some fellow walkers from Belgium and Germany were also impressed with the food, and were surprised by the the strength of the beer! Top value for money, highly recommended and the chef deserves a pay rise! Visited, Majors Retreat pub whilst staying at Chestnut Farm on the final leg of our journey walking the Cotswold Way in June 2011. My Partner and I could not finish the portion served, they were huge !! and oh so tasty, the best value for money and very scrumptious food on the whole trip. Washed down with several real ales this pub is a walkers delight. I Throughly recommend a visit. I been to the Major's Retreat a few times and been pleased every time. It's a good country pub, with a log fire, good beer and good food for the price, Its not gastropub, its not luxurious, but it is is quite simply good value and comfortable. Excellent village pub with jovial landlord. The food is always fresh and local, and of good quality. Ive never left there hungry. Definately worth a visit. Also look out for their curry nights - 8 curries cooked by English chef trained in India, with all accompaniments. Next curry night is Friday 1st July 2011. What a delight to find a traditional country pub, yet unblighted by the gastro theme. I was made to feel welcome by both the landlord and locals alike. Good real ales on sale, and generous portions served with every meal, and easy on the pocket. 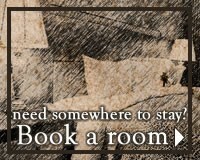 I would highly recommend a visit, even if its just for the warm atmosphere. Well worth a visit for a decent,well kept pint.Uley Old Spot and Moley were perfect!Landlord is a real character.Menu is probably not vegetarian friendly,but good portions and tasty.Pub deserves to be supported,so any trip down the M4,call in.Large open fire on cold winters days. The Majors Retreat is an old Cotswold stone pub, situated about a mile from the M4 J18 towards Stroud and makes a very good alternative for lunch to the M4 services. The bar area has a bit of a quirky feel being a traditional oaked beamed with a large stone fireplace, an old style décor and a collection of different style tables and seating. Then the door to the right of the bar leads to a large oak panelled dining room. The food and beer has been good in the past and there is usually some local real ales on offer. Our recent visit was to pull off the motorway for Sunday lunch, which was plain but fairly wholesome roast. And the four beers available were Draft Bass and Sharps Doombar, but these were then complimented by Moles Brewery Tap and Uley Brewery Pigs Ear, both of which were well kept. There is also a large garden and plenty of car parking spaces, and as mentioned, its closeness to the M4 makes The Majors Retreat a recommended stop for good food and good beer. Recently changed from The Portcullis Inn to The Major's Retreat to differentiate it from a pub of the same name nearby. Debbie - 17 Sep 11 What a Jewel in The Crown! Fabulous mixed age family party for 36, meals varied and all delicious, really nice and friendly venue in seperate dining area, very clean with white tablecloths and flowers, Roy Godden and staff so accommodating and nothing too much trouble, even took our group photos outside! Do pay them a visit, wish we lived nearer but will be back! Good food, range of real ales. Good value generous portions of food. Garden in summer, fire in winter. A classic welcoming village pub. A minute from M4 Junction 18. We were initially put off by the dreary entrance but found an old fashioned pub and so much the better for it. Beer was excellent the landlord friendly and the food a revelation.Using the Times vouchers we had an excellent home cooked 3 course meal with tasty generous portions. The coffee came in a plunger jug. We had a round trip of 30miles to get there and it was worth it. We will be back! Good food, good value and welcoming. We go there about once a month. Great food for the weary traveller For anyone who's looking for a great place to eat off the M4 or the Cotswold Way this is the place to go. Portions are huge and drinks are very welcome for this oasis on the trail. The Portcullis Inn Really good food, Nice civilised atmosphere but not snobby. Friendly regulers....... Did I mention the food was brilliant yet? :) I really liked this pub, Its how old English pubs/restaurants should be. I intend to go back again soon ! This is our M4 lunch stop when travelling West (or East for dinner) due to its handy 5 minute diversion off the motorway and direction by CAMRAS's Good Beer Guide. Tucked away in Tomarton village, it serves a reasonably priced, generously served, variety of meals. The ales are well kept and the landlord is friendly with a style of dry humour. The pub seems to be in the midst of a gradual name change, to the General's Retreat to distinguish it from another Port Cullis in a town nearby. 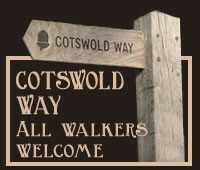 It is frequented by hikers from the close passing Cotswold Way. A great stop-off for all. This one is a gem. An old Cotswold stone building covered in ivy about a mile from M4 J18 toward Stroud. The bar area is two level and open with 8 or 9 four seater tables. The door to the right of the bar leads to a large oak panelled dining room which wouldn't look out of place in a country house hotel. Food is very good - freshly cooked, generously portioned and good value - and the kitchen is kept busy. The landlord is a real character and very welcoming. The range and condition of the beers is superb. Three or four guests from local micros and Sharps of Cornwall and the excellent Uley Pigs Ear which is a permanent guest. There reasonably priced accommodation available. Well worth searching out. 9/10. "You wouldn't find it unless you knew where it was type" of pub. An old pub with a quirky atmosphere but great food. Beer is kept well and the landlord has a very dry sense of humour. Personally love it for it's food. One of last "real" Pubs left, good beer, decent food (large helpings!) at a decent price, landlord (Roy) with a sometimes acid sense of humour (which I like), has some rooms if you need somewhere to stay if in that part of the world. Plenty of car parking space, beer garden etc. Worth a visit.